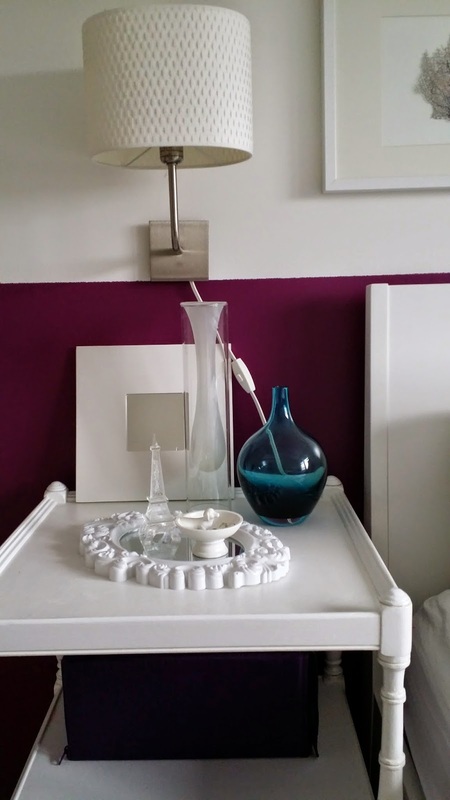 A house update & Charlize's purple room! We've been in our new home now for 5 nights. The first day was hectic, tiring, and a tad stressful. The sleeping situation even more tumultuous. Lots of shushing or yelling (from Brooklyn), and chatting and giggling (from Ava) whom now share a room. Charlize, in her cosy little bedroom, fast asleep within minutes. There was no teeth brushing for half of us and no Pj's for others. We ate whatever defrosted from the freezer, just some yucky fish Greg caught earlier that summer. Not sure if it was properly defrosted first, so it wasn't that good. I unpacked the kitchen quite quickly, then learned I didn't have anywhere near as much room as before (duh!) My cupboards were already full and I still had a few boxes left to unpack. The girls already knew 2 boys on the street. They are brothers and are the exact same ages, attend the same school, and are also in the same grade. They've been playing outside with them constantly, which is nice! I'm almost completely done Charlize's room. 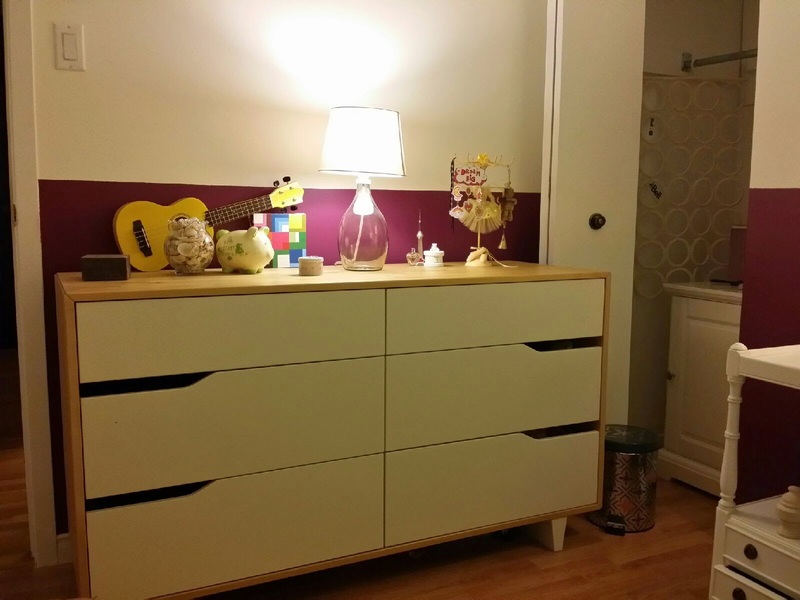 I am super happy how her room turned out and to tell you the honest truth I cried after the inspection thinking of how cramped and uncomfortable her room would be for her. I just would like to add shelving at the foot of her bed with a small wall mounted desk for her to do work on. Ava and Brooklyn's room was a disaster but I organized and tidied it up-it's nice and super livable, just not completely decorated yet. We are all exhausted; Greg's got a cold, and my hands ladened by excema are sore and dry. But, we-are-all-happy about the move! It feels so right being here. We had a movie night this weekend in the somewhat unpacked basement, and it was cosy. Much more so than at our old house. Unbelievable. And it's not just the size. Although that helps. I feel the house is coming together quite nicely for the short amount of time we've been here. It's only been 6 days and the girl's rooms look more decorated and put together then at the old house. I guess all those sleepless nights of designing in my head paid off. It's a lot easier when you have a plan and know what you're going to do. I made a few bold choices; I always encourage clients to do so, so I have to act as my own client too! 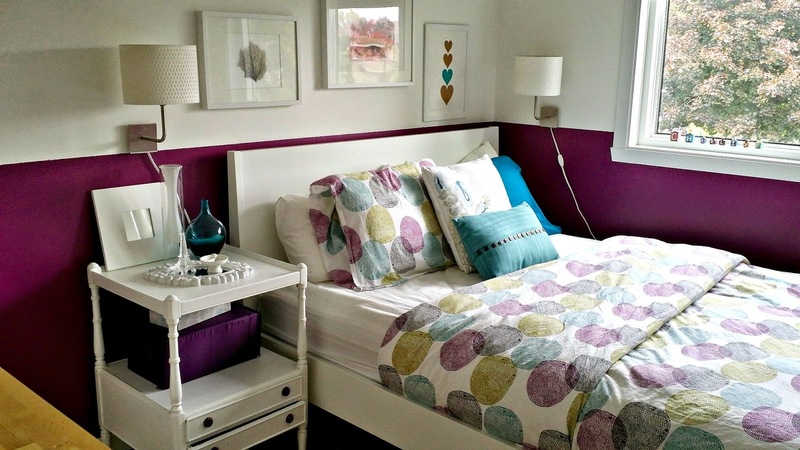 I went for a half wall of purple in Charlize's room and a light teal in Brook & Ava's room. Here are a few pictures of how Charlize's room has come together. 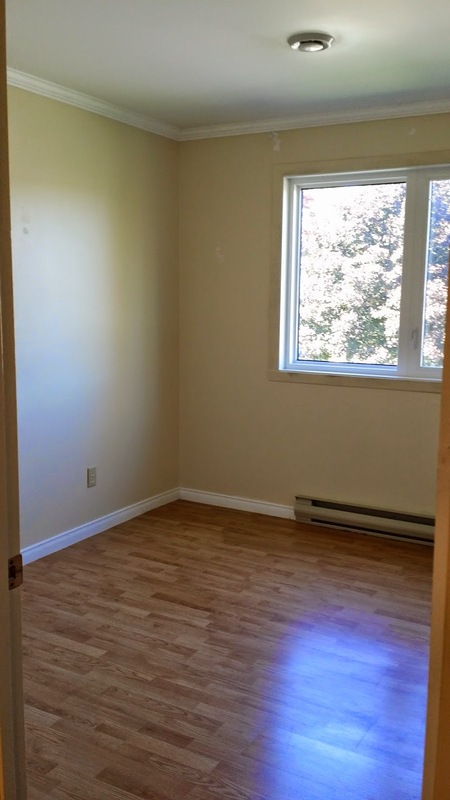 This was the room before...yellow and uninviting. You can work with a small space, you just need to be more thoughtful. This room needed a dramatic warm cosy colour. My first instinct was white or pale grey because of it's size; but sometimes you need to do the opposite. I brought the colour 38" up the wall. The contrast against her white furniture is balancing. It's real cosy at night. 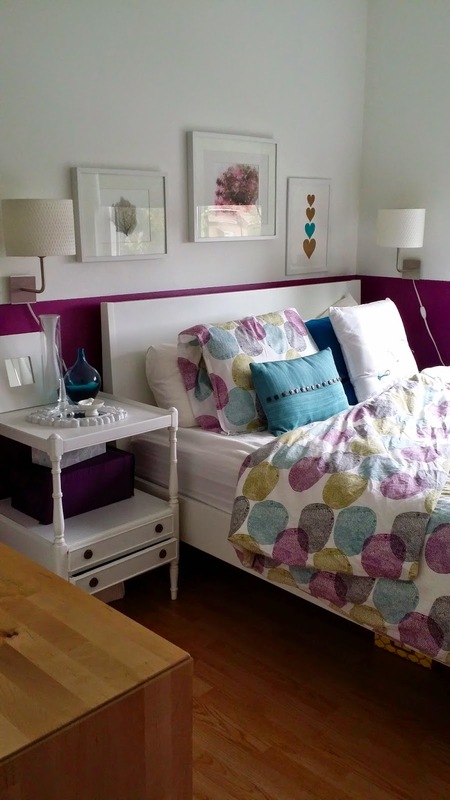 These wall sconces from Ikea free up her night stand and allow a second one in the corner (because there is no room for a night stand on the other side of her bed. I love how they are on different walls. It makes it interesting, which you need in a small room like this. This is the only other free wall (by the door). At least it fits her dresser which boasts more than enough storage for her clothes with even a large free drawer to spare for Lego. I took this photo at night. I placed a large nightstand in her closet for more storage but I still need to organize it a bit better.